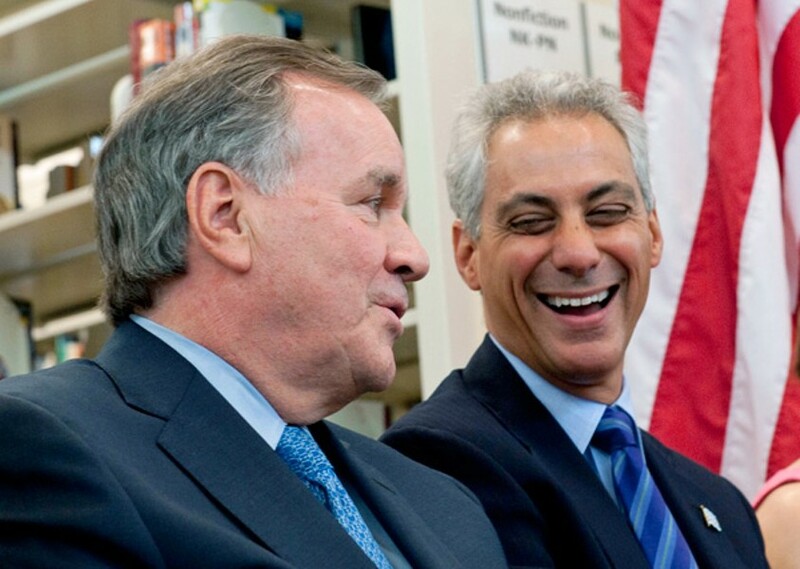 Jean Lachat/Sun-Times Media As mayor, Richard M. Daley spent hundreds of millions of dollars on unnecessary pet projects—and now successor Rahm Emanuel seems to have the same bad habit. 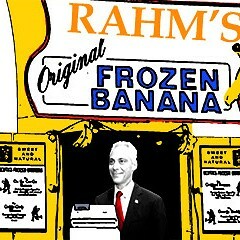 As we all prepare for Mayor Rahm Emanuel's proposed property tax hike to pay off billions of dollars in pension obligations, I thought I'd take a trip down memory lane to a not-so-distant era when our leaders acted like we didn't have a care in the world. The year was 2004—and what a glorious time it was! We were in the midst of a fabulous real estate bubble that sent property taxes flowing into the city's coffers like champagne at an Emanuel fund-raiser. Amid the good times, a few wealthy friends of then mayor Richard Daley threw a lavish party in the Pritzker Pavilion at the recently completed Millennium Park. "Women wearing serious jewelry and stunning gowns were welcomed upon their arrival by 'Adam and Eve' greeters draped in leaves and dragging a snake," the Sun-Times reported about the $1,000-a-ticket fund-raiser for the park. "In two big tents, Wolfgang Puck Catering served a dinner of beets and goat cheese, asparagus with prosciutto, potato leek soup with caviar, lobster and beef tenderloin with truffles. Tables were topped with white cloths and tall silver urns holding magnolia leaves; 10-foot-tall water walls were placed through the tents." Ah, yes, the good life. As we've since learned, the lavishness was heaped atop an unstable foundation. Essentially, Mayor Daley was taking property taxes intended for really boring stuff—like pension payments—and spending it on flashier things that we couldn't afford. Now that those pension bills are coming due, our choice is to either cut payments to retirees, jack up property taxes, or both. Too bad we can't get a refund on the beef tenderloin with truffles. As one alderman explained to me at the time, the high-speed rail plan was approved by the City Council because no one wanted to piss off the mayor. That's another way of noting that our pension obligations wouldn't be so gargantuan if we'd been a little more prudent back in the day, and if we'd spent less on things like the underground train station at Block 37 at Randolph and State, which was supposed to be the hub of high-speed rail service to Midway and O'Hare. The only problem is that there weren't—and still aren't—any tracks on which the high-speed trains could run. So the city spent more than $250 million to build a station it will probably never use. As one alderman explained to me at the time, the plan was approved by the City Council because no one wanted to piss off the mayor—which sort of explains why the council is still approving stuff to this day. Mayor Daley had a jones for high-speed rail to and from the airports because he rode such a train while visiting Beijing. He was always coming up with new and creative ways to spend our money, especially after junkets to foreign lands. In retrospect, I think we'd all be better off if Daley had never gone further than Dolton. 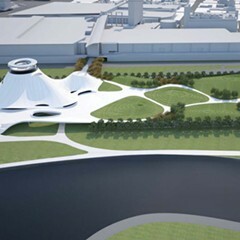 I won't put Millennium Park on the list of stupid expenditures—even though it cost about $280 million in tax increment financing money—because we, the people, actually got something out of the deal. However, I still contend we should have built the park with hotel and motel taxes instead of property taxes. But we couldn't dip into hotel-motel money because in 2001 Mayor Daley had earmarked $360 million of those proceeds to rebuild Soldier Field so the Bears would have a nicer place to play. Let's face it: that's an expenditure that virtually no Chicagoan benefits from, especially Bears fans trying to remember what it's like to see a playoff game there. Eventually, Mayor Daley decided to sell four downtown garages to a company called Chicago Loop Parking LLC, partly to help pay off the money he borrowed to build Millennium Park. But Daley apparently didn't read the fine print in the garage agreement, which prevented the city from permitting other garages to operate in the area. In 2011, after his administration allowed a rival company to open a garage at 225 N. Columbus, Chicago Loop Parking sued the city for violating the terms of its deal. Last year a panel of arbitrators ordered the city to pay $57.8 million. 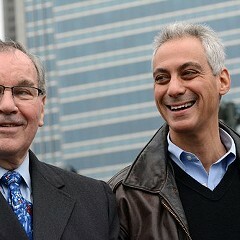 So you might say that the Soldier Field deal cost us an extra $57.8 million. But wait—it gets worse. As part of the Soldier Field project, the city tore down the old Park District administration building. The Daley administration then spent about $22 million to buy space in a Streeterville skyscraper for the Park District's central office—as if they couldn't find empty space in a school or field house somewhere in town. Despite it all, the Bears still can't beat Green Bay. I'd be remiss if I didn't mention all of the TIF subsidies Mayor Daley doled out during those glory years to the likes of MillerCoors, Grossinger Auto, and United Airlines, to name but a few. Then, in 2008, the final year the Central Loop TIF district was operating, Daley went on one last binge, spending about $365 million. 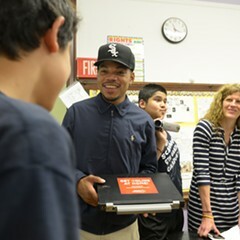 Man, it would be nice to have that money right about now for those pension obligations. In fairness to Mayor Emanuel, he wasn't the boss man at the time of all that extravagance—though he was exceedingly obsequious to the mayor who was. I'd like to report that Emanuel has learned from Daley's mistakes and that the city is no longer wasting public money on ill-conceived boondoggles. 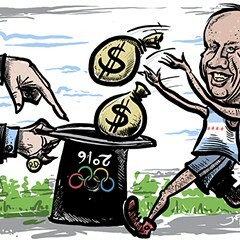 Unfortunately, Mayor Emanuel seems determined to carry on the great Daley tradition of throwing around money like it was confetti. When all is said and done, I suspect that Emanuel's South Loop project—involving a new basketball arena and Marriott hotel—may rival the Block 37 underground train station as Chicago's dumbest waste of money, and that's saying something.